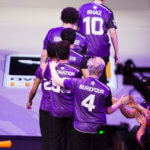 In a turbulent week of team news surrounding the Los Angeles Gladiators in their playoff run, iRemiix turned back the clock with his spectacular performances against the London Spitfire. 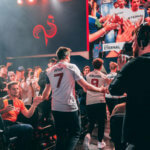 After news leaked out about the LA Gladiator’s Fissure not featuring for the entirety of playoffs, many were questioning if the Gladiators would be too shaken up to compete, but the result against London was business as usual as the first series of their Quarterfinals match took place this week. Upon arrival, Fissure’s impact on the Los Angeles Gladiators roster was more than evident as he took LAG from a meager middle of the pack team into a powerhouse dive team with a powerful tank leader at the helm. With the recent meta changes, Fissure’s impact on the squad has dwindled as their patented dive strategies weren’t necessary for the map pools utilized on Stage Four and playoffs. With their main strategy compromised, the Los Angeles Gladiators were forced to rely on depth in position and have found much more success with a team oriented approach that iRemiix excels in. Before Fissure’s arrival, the playstyle of the Los Angeles Gladiators was not syncing well with the Puerto Rican native as his passive play kept LAG from utilizing their full potential at times. In this new meta though, iRemiix’s ability to play with and around his team has given a new level of depth to the strategy and teamfight prowess that Los Angeles have excelled in with him not in the roster, and his ability to plug and play at such an effective level against a rival like the London Spitfire is a testament to his growth this season. Instead of taking the rest of the year off and subjecting himself to a bit part role in the lineup, iRemiix has renovated his game almost completely as his Stage One performances have been eclipsed with his latest run of form. What does the future hold for Fissure? Blame it on the team compositions, blame it on the opposition, or just give credit to the hard work that iRemiix has put in behind the scenes. In a hyper competitive league like the Overwatch League, it’s hard to improve without that ever important stage time and somehow iRemiix has found a way to do just that, in spite of the odds. The bigger question remains for the Los Angeles Gladiators coaching staff and Owner as they look for an option to settle the problem they have with their most popular player and main tank. Since the beginning of the Overwatch League, Fissure has been in the running for second best main Tank in the league if not the best. With a player like that not starting, it’s hard to envision a way he remains on the Los Angeles Gladiators without some sort of fallout for lack of playing time. In a recent Twitter leak from a well known insider to the Overwatch League, Slasher put out information regarding an exchange between Fissure and LAG coaching staff regarding the future of the roster with Fissure going forward. In Slasher’s tweet, he describes LAG’s decision to sit out Fissure due to their discrepancies in team outlook and how the roster should be set up. Fissure later responded to the rumours on his stream where he clarifies that the recent roster shakeup is just a byproduct of better scrim results with iRemiix in the lineup as opposed to Fissure. 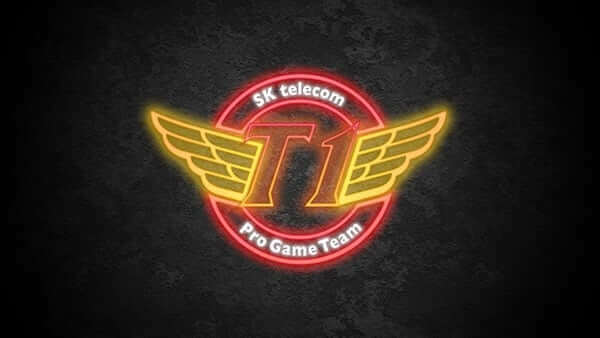 The ‘disagreement’ between staff and Fissure was more a conversation related to Fissure’s want for a one language team on comms so as to not disturb the roster overall, claiming it’s easier to bench him and have an all English roster rather than find five new Koreans to pair him with in order for him to communicate most effectively. The distinctions between Slasher’s tweet and Fissure’s response is merely a matter of perspective, and there is a high chance that Fissure will likely be deemed surplus to the Los Angeles Gladiators if their run of form continues with iRemiix leading the charge so well. Los Angeles Gladiators and London Spitfire will conclude their second match in the Quarterfinals on July 14. Done Deal: Fissure gets his wish with Seoul Dynasty move, but will it backfire? Overwatch League semifinals Preview and Predictions: Can London Spitfire continue their miracle run?